What drew me to The Goddess Test was the cool idea and incessant coverage in the blogosphere. I love Greek myths, especially when they're retold in a fresh, new fashion. But I didn't think anything about The Goddess Test was fresh, or new. Every aspect, from the main character to the cheesy high school experience, left me unimpressed. It was a promising seed of an idea, but it I felt it could have been presented a lot better. The summary itself doesn't seem to promise much. It's chockfull of unsurprising elements. Of course the Lord of the Underworld is "dark" and "tortured." When I think of a fresh, new take on Greek mythology, I have more in mind of a Hades (if he's a teenager in the modern world) that likes to go around wearing a three-piece suit and marvels at the way life flourishes, even in his presence. Not a long, black trench coat. And, of course, Henry is unbelievably, undeniably gorgeous. Not the kind of depth and originality I was hoping for. Modernizing the myth of Persephone is a rich concept, whereas Carter's story seemed to barely scratch the surface. It was clouded with things that had already been done before, from the bitterly worn out high school hierarchy (where the head cheerleader is blond and of course dates the quarterback and/or captain of the football team) to the prose itself. The prose was entirely telling, no showing, making it lackluster for me. From page to page, I was left unsurprised. It was so easy to see how the plot was going to progress from page one, so by the time I got to page sixty, I was ready to cry with frustration and boredom. The frustration came mostly from the main character, Kate. I can empathize with her plight (though I'm not watching my mother slowly die, it's a member of my family) but I cannot sympathize with her. I expected more anger out of her; some other emotion than just perpetual flakiness around anyone other than her mother. She just came off childish after a while, and I quickly tired of her. 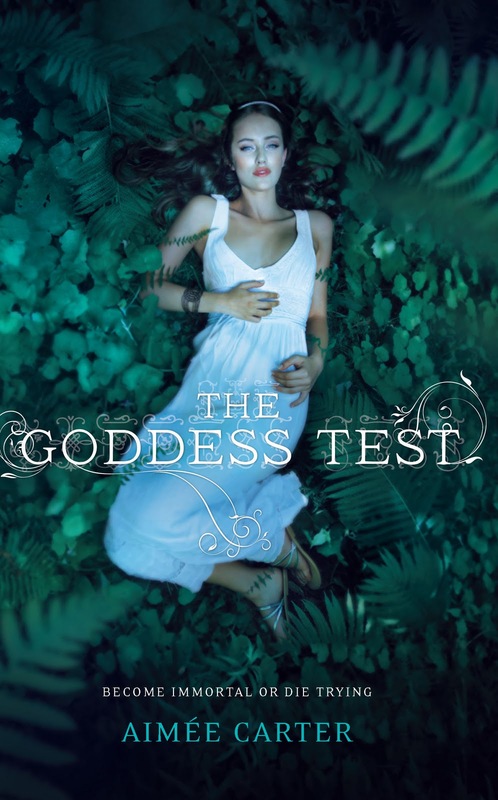 I thought The Goddess Test was going to be amazing, but it was simply one of those books that did not live up to my expectations. I was hoping for a story with an edgy charm, but it was blunted by superficial characters and melodramatic action.